Growing up in Charleston and Greenville, SC, Ginger spent many a weekend hiking thru the Blue Ridge Mountains enjoying the natural beauty and cooler weather of the area. Years later, Ginger and her husband Micah lived in both Augusta, GA and Aiken, SC, where he was the head golf professional at a few different courses. In January 2011, they made the move to the Highlands and Cashiers area when Micah accepted the position of Director of Golf at Mountaintop Golf and Lake Club. Ginger and Micah have 3 wonderful children; their son Micah was born in 2007 and they have twins, Marion and Oliver, born in 2009. Ginger and Micah are very active in the Highlands and Cashiers area thru Micah’s job, Summit Charter School where their children are enrolled, sports and friends. They love the sense of community the area gives as well as all the outdoor activities it has to offer with waterfalls, lakes, golf and hikes. Ginger received her Associates Degree in Paralegal and worked for several years in a large real estate law firm in Greenville. After moving to the area and once their kids got a little older, Ginger decided to put her desire to help people and her sense of style to good use. 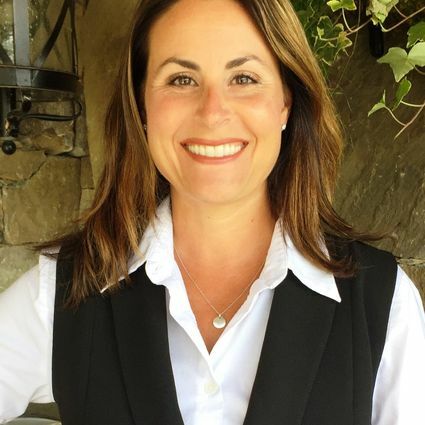 She became an assistant to Don Collins, another broker with Berkshire Hathaway HomeServices Meadows Mountain Realty, during which time she also commuted to Asheville weekly to complete her real estate courses and become a licensed broker. Ginger and Don are now a team and they are thrilled to be part of BHHS Meadows Mountain Realty family! They are excited and dedicated to making your property search experience both fun and stress free! Whether you’re selling your home or buying in our area, they are here for serve all of your real estate needs.